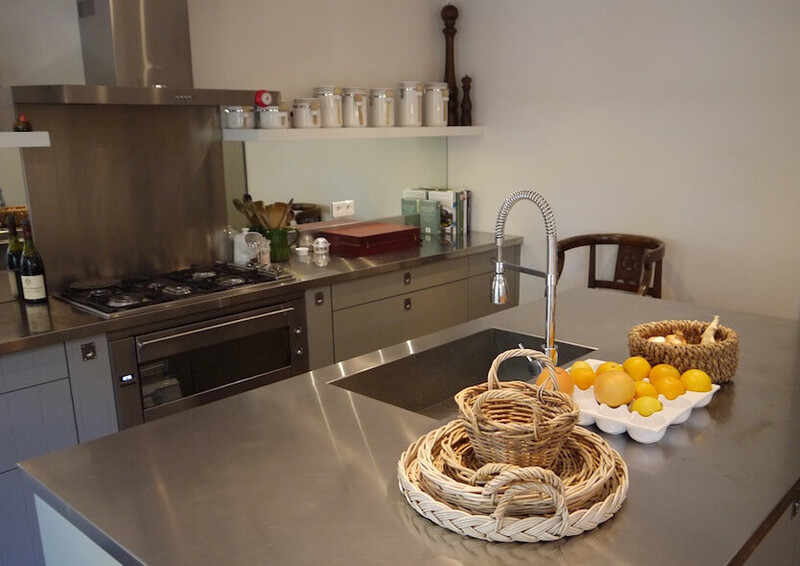 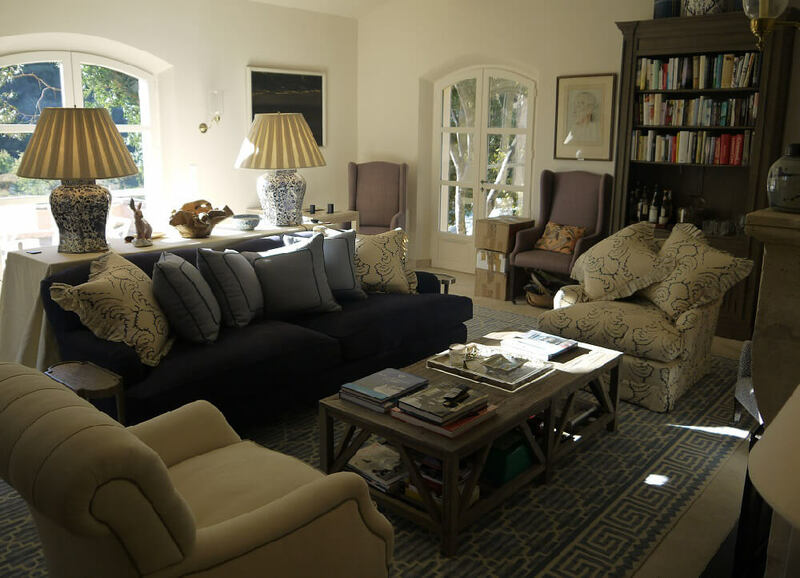 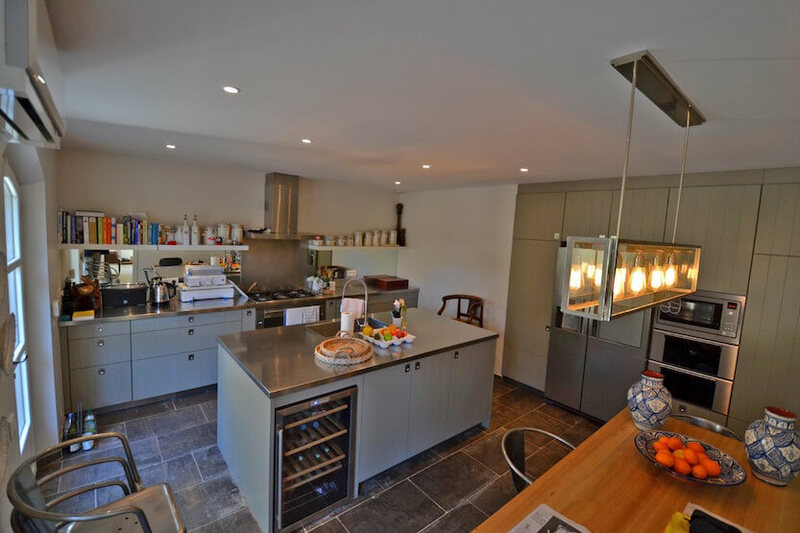 This luxury property is tastefully furnished with a mixture of antique and contemporary furniture. 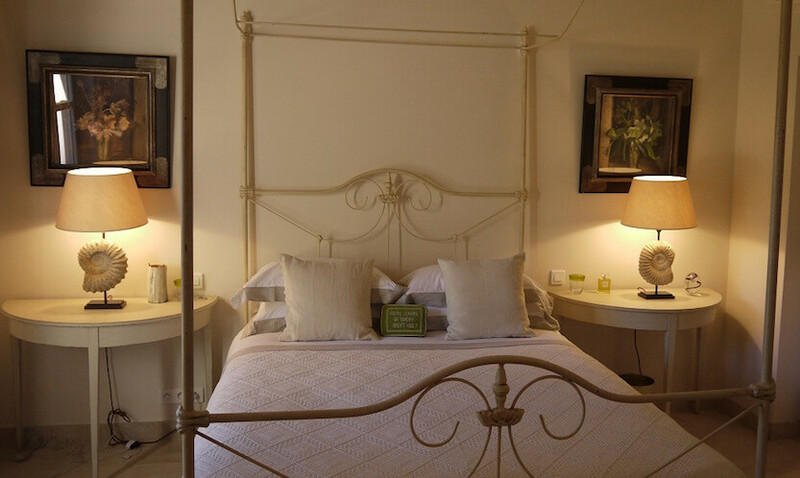 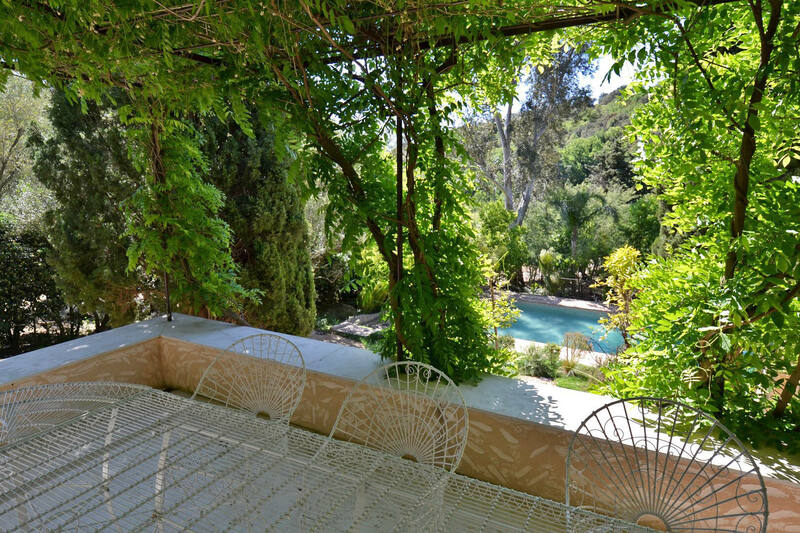 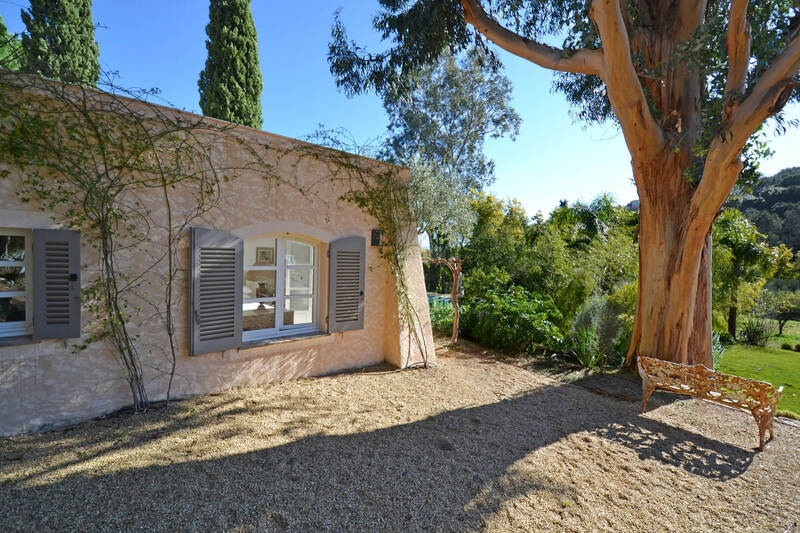 With views over the surrounding countryside, windmill and chateau, Villa Serenity is a gem . 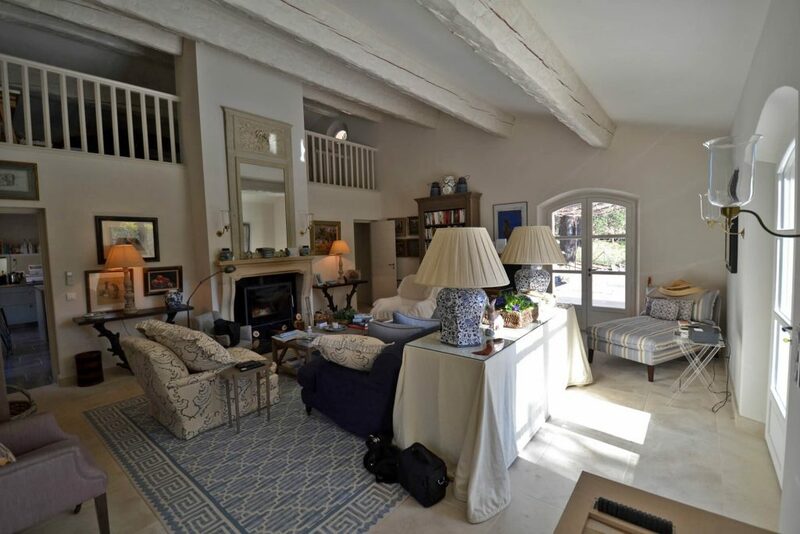 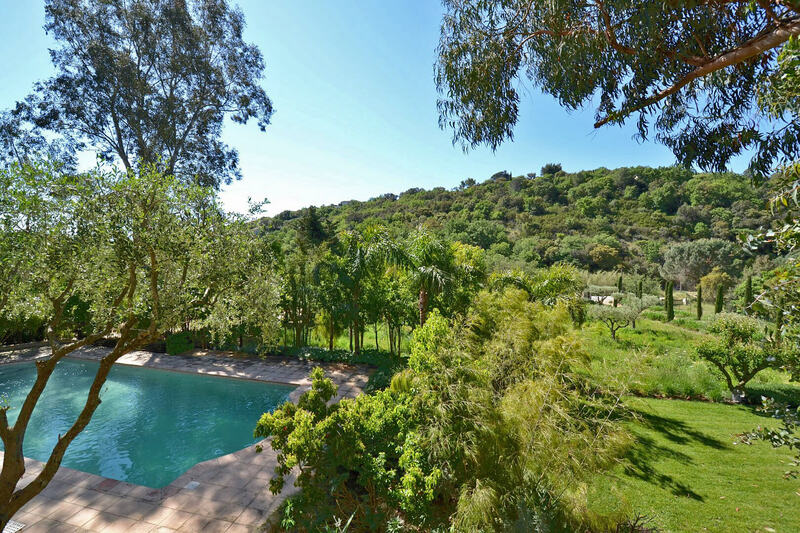 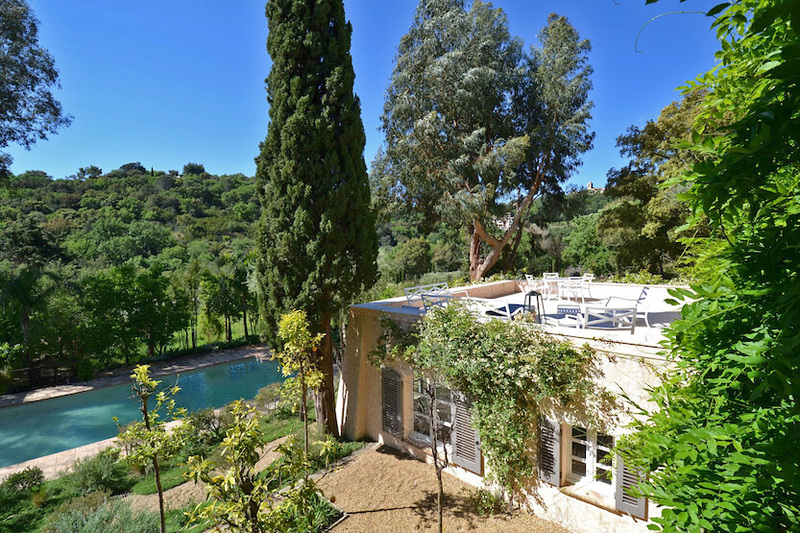 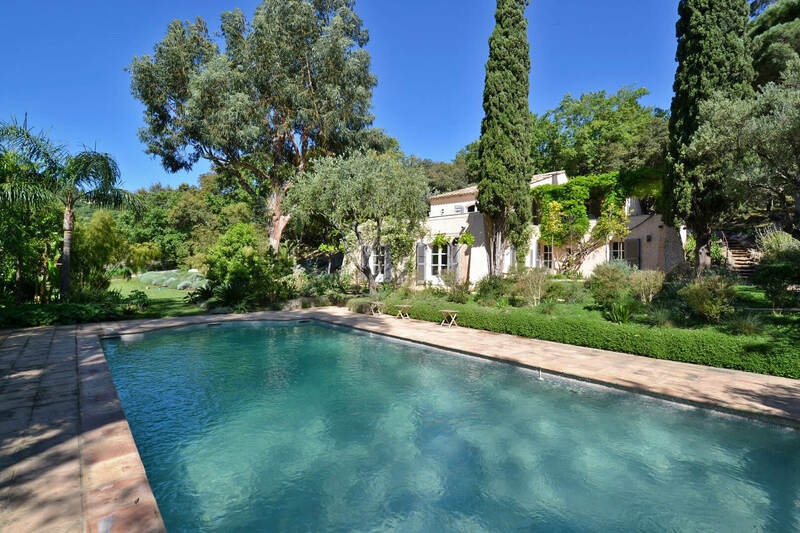 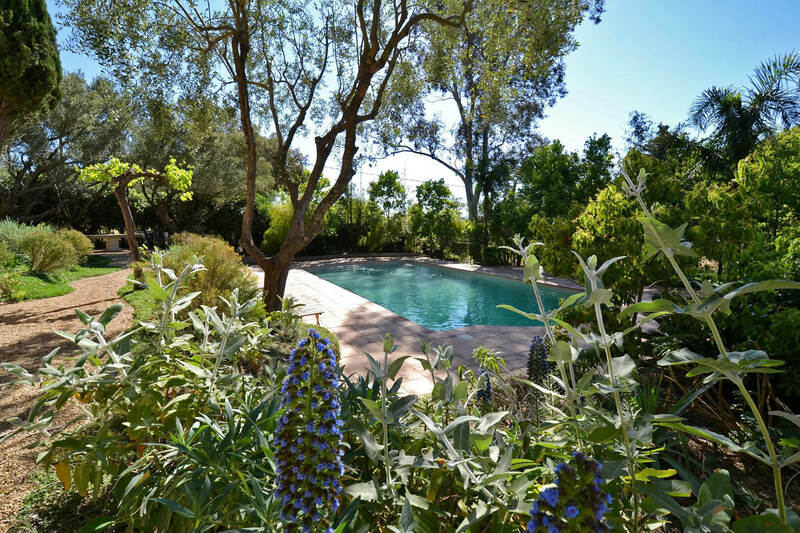 This beautiful refurbished property sits below the medieval village of Grimaud and is located a short distance from the village (15 min walk) and nearby Port Grimaud and Saint-Tropez. 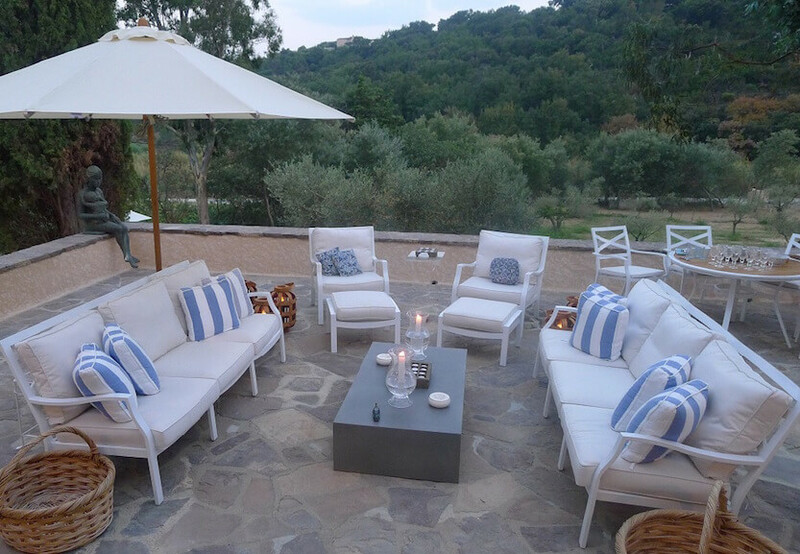 The villa is an elegant construction divided into two floors, with the living room opening directly onto a large terrace with its comfortable outdoor seating area and a pergola with wisteria for dinning al fresco with table, chairs and gas barbecue. 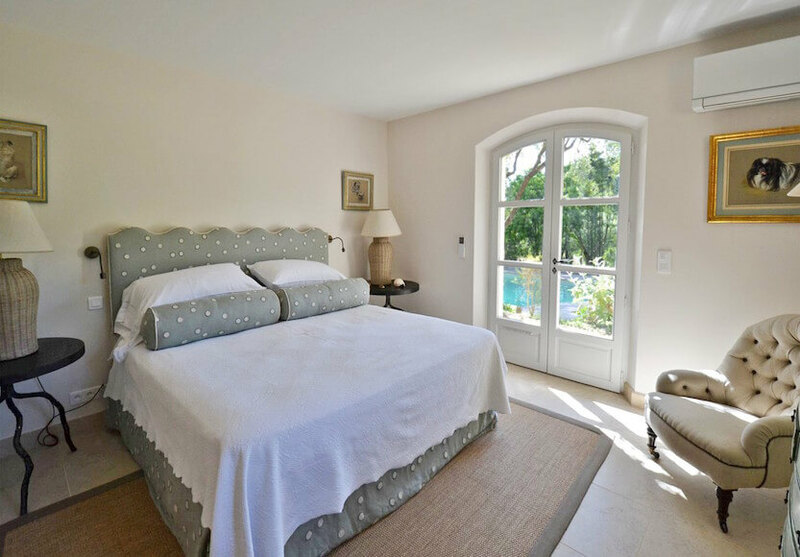 Villa Serenity can accommodate up to 10 guests. 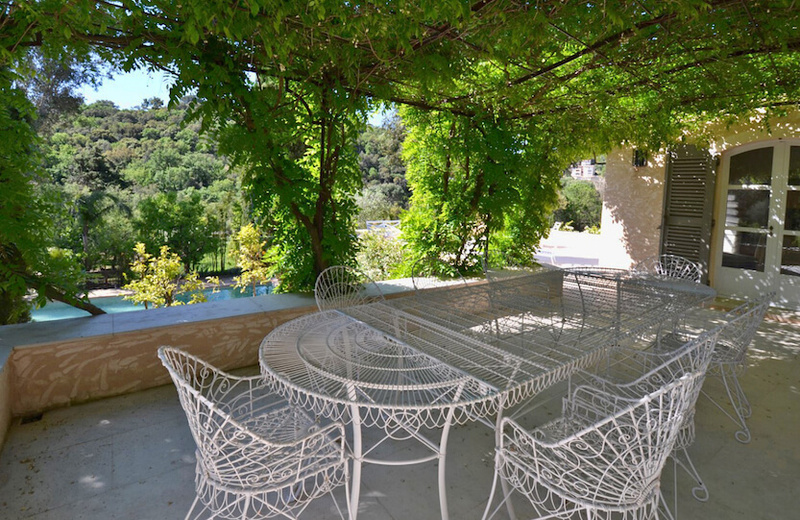 A large covered terrace with beautiful view.